This rucksack was issued to the Army in ETO. 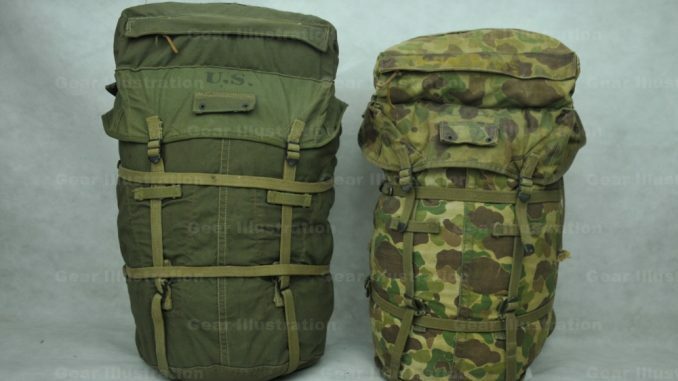 It’s predecessor version is Camouflage Jungle Rucksack. Crouching low in a DUKW for concealment and protection, men of the 89th division, U.S. Third Army, cross the Rhine River at Oberwesel, Germany. March 26, 1945.